The CIA at Copia, The Culinary Institute of America’s newest venture in downtown Napa, presents Sustainable Seafood and Bay Area Watersheds as the next event in their series Conversations at Copia on April 7-8. 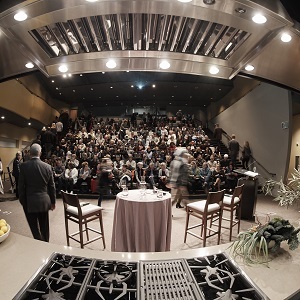 Through live panels, film, art, dialogue, and tasting food and beverage, the monthly Conversations at Copia series aims to teach attendees about their food system, how to get involved, and how it affects us. During the April edition, guests will have the chance to learn more about sustainability and what chefs, fishmongers, and winemakers are doing to protect their rivers and oceans for the future.